Brands are going crazy for Game of Thrones. 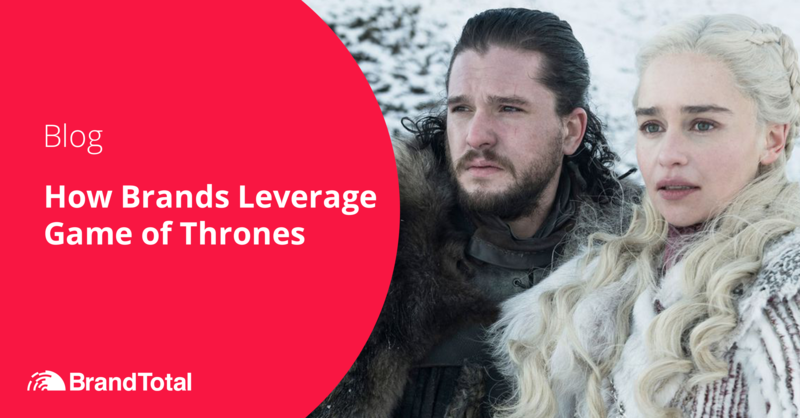 We analyzed how different companies including Oreo, Mountain Dew, Urban Decay, Johnnie Walker, and AT&T inserted themselves into the Game of Thrones fever. HBO's powerhouse series, Game of Thrones premiered the start of its final season on April 14th, 2019 to an increasing audience of fans. HBO reported that the premiere had 17.4 million viewers, topping the all-time record for a single Game of Thrones episode. To give some perspective, that's the equivalent of filling up MetLife stadium over 200 times. Ostensibly, when there are that many eyes pointed in one direction, brands are going to try and insert themselves into the conversation. As usual, we want to know the who, what, and how well the brands are doing. Oreo inserted themselves into the marketing surrounding Game of Thrones by recreating the intro to the show with Oreo cookies. Insight: Oreo increased their targeting 20% towards males for their Game of Thrones campaign. Adidas entered Game of Thrones marketing mix by creating a Game of Thrones inspired line of sneakers. Insight: Adidas utilized facebook 100% for their Game of Thrones campaign. Urban Decay entered the Game of Thrones marketing blitz by creating a makeup collection inspired by the unique characters depicted in the show. Insight: The genders being targeted were the same for their Game of Thrones campaign: 36% Males and 64% Females. Mountain Dew joined the conversation by collaborating with top celebrity influencers to create co-branded images and videos with the Game of Thrones theme. Insight: Mountain Dew’s heaviest target for their Game of Thrones campaign were 25-34-year-olds. Johnnie Walker inserted themselves into Game of Throne marketing mix by creating a limited edition Game of Thrones “White Walker” whiskey. Insight: Utilized Instagram 46% and Twitter 45% for their Game of Thrones campaign. AT&T joined the conversation by launching a Game of Thrones merchandise giveaway, to store visitors. Insight: Shifted their usual target 10% towards the 25-34-year-olds, for their Game of Thrones campaign. Overall, brands are putting a heavy focus on adding to the Game of Thrones marketing mix, from creating a new Game of Thrones branded products to having celebrities recreate the shows iconic introduction. We are sure to see some more interesting ads, and strategies as the season continue. Click the download button below to get our full in-depth report on Game of Thrones report!